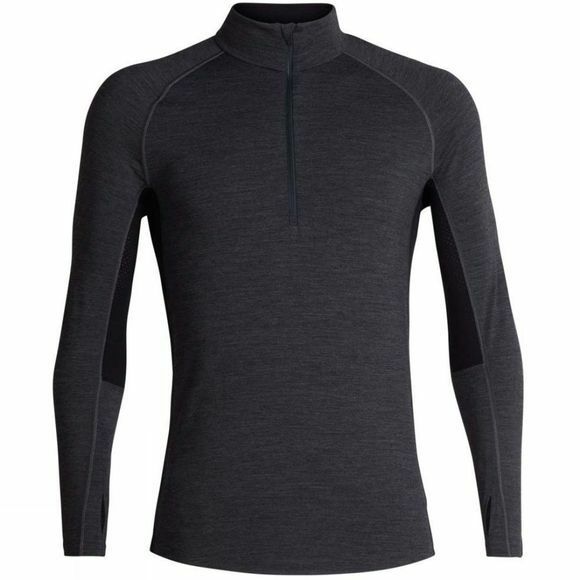 The Mens 200 Zone LS Half Zip Top from Icebreaker is a stretchy zip-neck baselayer shirt ideal for long, high-output days on the bike, trail, skis or the rock. 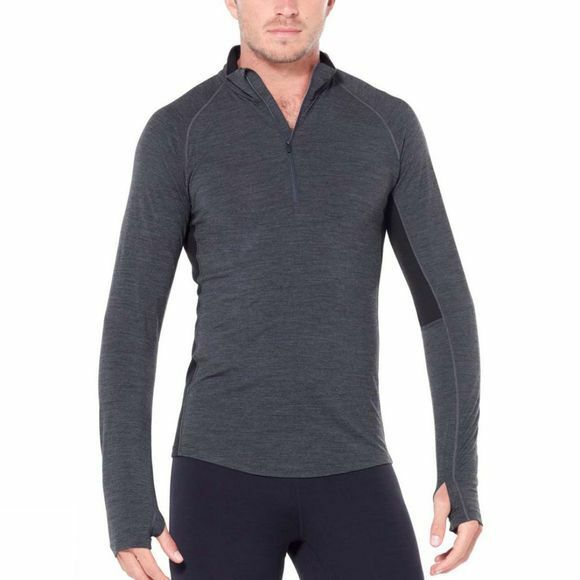 The updated 200 Zone Long Sleeve Half Zip is the ultimate lightweight technical baselayer top. The Zone features our BodyfitZONE construction, which combines lightweight, odor-resistant stretch merino wool with strategically placed merino mesh panels to help regulate temperature during stop-and-go days on the trail or in the mountains. Raglan sleeves and underarm gussets allow for unrestricted range of motion, and flatlock stitching eliminates chafing during dynamic days out in nature.